Suoi Tre industrial park was established on the basis of merging three industrial cluster: Suoi Tre 1, Suoi Tre 2 and Bao Vinh, with a scale of about 150 ha. In which, Suoi Tre 1 cluster (50 ha) completed the construction of technical infrastructure and is calling for investment, Bao Vinh industrial cluster (47.13 ha) is implementing technical infrastructure and construction of wastewater treatment plant, Suoi Tre 2 industrial cluster (about 50 ha) is being implemented compensation for ground clearance. - Name of project: the technical infrastructure construction investment of Suoi Tre industrial zone. - Location: Suoi Tre Commune & Bao Vinh Commune - Long Khanh Town - Dong Nai Province. - Project scale: 149.5 ha. 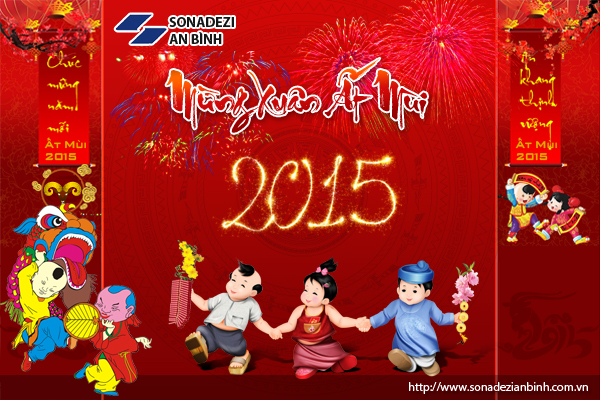 - Owner: Sonadezi An Binh Joint Stock Company. - Investment capital sources: Enterprise capital, loan capital. To complete the system of technical infrastructure of the project such as: leveling, traffic system, trees - grass, water supply, electricity, lighting and communication. Linking industrial zones with neighboring areas to create a business environment with technical infrastructure is invested synchronously and quality, favorable for domestic and foreign investors invest into the industrial zone. LOCATION Located in Long Khanh town, Dong Nai province. 500m to National Road No.1A. Add : 113-116, lot C2, street 9, An Binh residential area, An Binh ward, Bien Hoa city, Dong Nai province. - All of charges above are not inclusive of VAT. - Land using fee will be changed in accordance with state..
- Supply from the national gridline by Long Khanh Electricity through 22KV transmission line and 110/22KV 2x40MVA transformer station. - The above price is only valid at the time of posting. - 500m to National Road No. 1A. - 6km to High way HCM-Long Thanh-Dau Giay. - 42km to Bien Hoa City. - 70km to Ho Chi Minh City (by National Road No. 1A). - 50km to Ho Chi Minh City (by HCMC-LT-GD). - 45km to Dong Nai Port. - 60km to Go Dau Port. - 60km to Cat Lai Port (District 2, HCMC). - 60km to Cai Mep Port (Ba ria-Vung tau province). - 65km to Phu My Port. - 50km to Phuoc An Port (Dong Nai province). - 50km to Phu Huu Port (District 9, HCMC). - 40km to Long Thanh international airport (planning year 2015). - Applying CIT to general tax rate 22% since January 1st, 2014 and 20% since January 01st, 2016. - Investment projects in Industrial zones enjoy CIT exemption for 2 years and reduce 50% of tax in the next 4 years. - Exemption from import and export goods are: machinery equipment and vehicles used to create fixed assets, raw materials, materials to produce goods and export of construction materials which can not produced. 3. Tax for the oversea remittance: Free of tax rate for the overseas remittance. - Value Added Tax (VAT) applied to goods and services consumed in Vietnam and was obtained through production, trade and distribution services to the applicable tax rate is 0%, 5% and 10%. - Tax rate of 0% shall apply to the export of goods and certain services, including goods and services for industrial zone. - Company seal, tax code …. Sonadezi An Binh is always willing to help the investors to complete necessary procedures in shortest time as well as supply rapidly the full necessary information to investors about Preferential policy, Human resource, Labor cost, Transportation cost by road, seaway and airway, the list of carriers, contractors and service suppliers. Tran Thai Services - Trading Co., Ltd.
Gum Sung Vina Co., Ltd.
Great Super Vietnam Co., Ltd.